New York, August 2nd, 2018 – Today, Kaleyra, a leading provider of global messaging services for banks, SME and large enterprise clients, signed a definitive agreement for the acquisition of the American cloud communications company Hook Mobile. 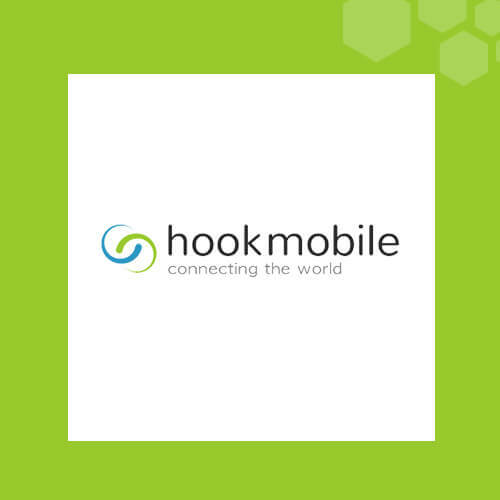 Hook Mobile is an innovative mobile cloud messaging services provider with extensive experience, global connectivity, and an enterprise-grade CPaaS platform supporting clients worldwide and with specific expertise in the North, Central and South American markets. Hook Mobile has distinguished itself with its innovation in the area of virtual local numbers which it started offering internationally as early as 2013. As of today, it reaches over 50 countries, aiming for over 100 countries by 2019. As a result of this acquisition, Kaleyra becomes a true global leader with significant presence in Europe, Asia and the Americas, with combined revenues of over 100 million dollars and a team of over 200 people across 12 locations. Kaleyra offers communications services for some 8,000 enterprise customers reaching some 200 countries worldwide. Its clients include a broad range of SMEs and leading brands such as one of the tier one e-commerce firm, a tier one global CRM provider, a tier one OTT messaging provider, as well as a broad range of renowned banks and related financial institutions. “This transaction is a step forward in our aspiration to go global. Hook Mobile is a very innovative company with expertise in Virtual Local Number services. With Hook Mobile’s offerings added to our portfolio, Kaleyra will now be active in the US and LATAM markets, which have very specific requirements and a strategic focus for Kaleyra Group” commented Dario Calogero, CEO at Kaleyra. In 1999, Dario Calogero launched Ubiquity, a Milan-based firm specialized in messaging solutions to the BFSI industry in Italy. In 2016, the company expanded internationally following the opening of a branch in Switzerland and the acquisition of Solutions Infini in India. Today, Kaleyra is made up of the combination of the European company Ubiquity, the Asian company Solutions Infini, and the American company Hook Mobile. Kaleyra is a leading provider of enterprise messaging services handling close to 3 billion messages per month. Together, they provide a broad range of integrated multi-channel communication services involving the use of messages, push notifications, e-mail, instant messaging, voice and chatbot services. Chiomenti acted as legal advisor of Kaleyra on the corporate side of the transaction. Venable was the legal advisor of Kaleyra for the US market. Orrick acted as the legal advisor of Hook Mobile. KPMG supported Kaleyra in the financial and tax structure of the due diligence.